Includes sealed trolling motor with customized retrofitted cassette, remote controller with 5 speeds forward & 2 speeds reverse, customized aluminum propeller, all hardware required for installation. 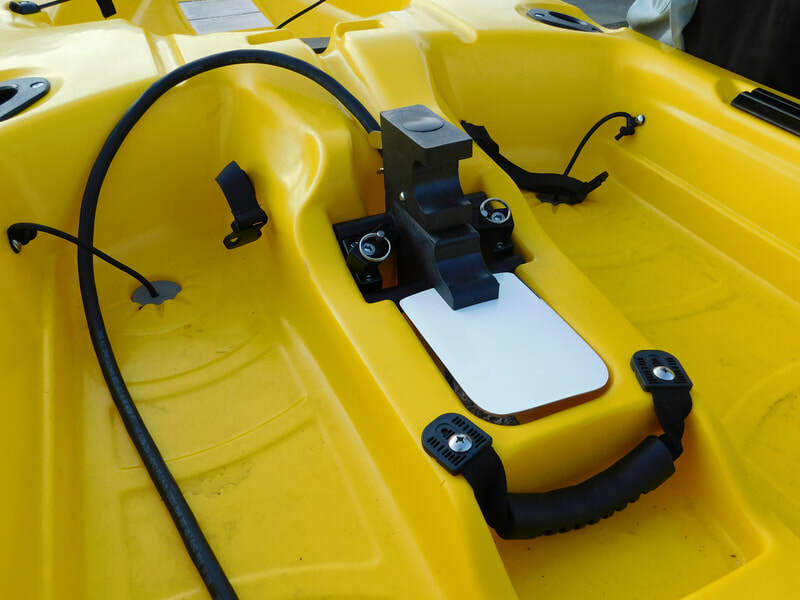 Slips into pedal drive and locks with kayaks latches. Includes sealed trolling motor with customized retrofitted cassette, remote controller with 5 speeds forward & 2 speeds reverse, customized aluminum propeller, 35ah AGM battery, 12 amp charger, and all hardware required for installation. Slips into pedal drive and locks with kayaks latches. 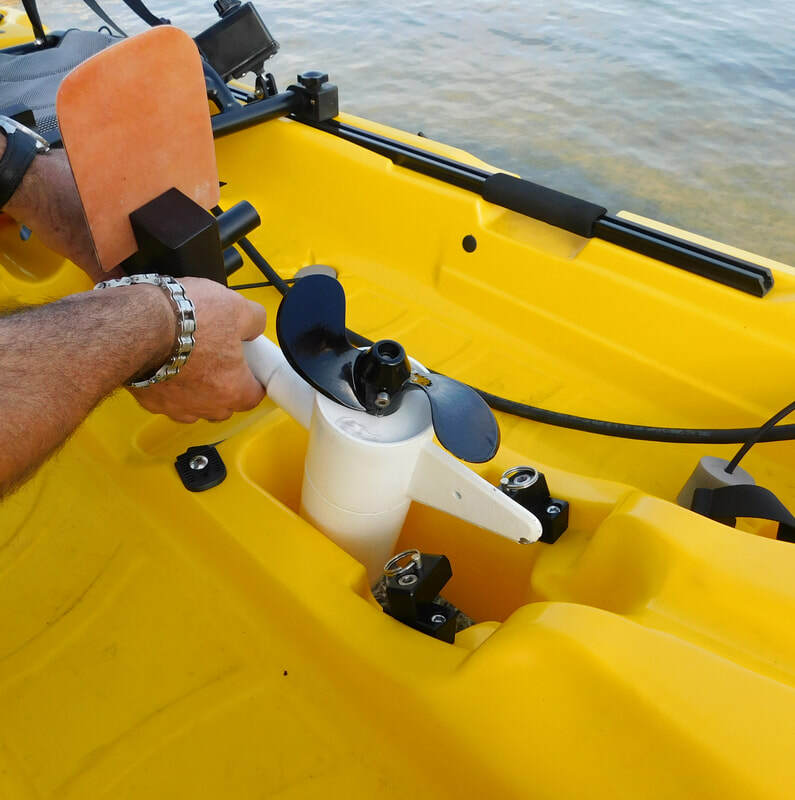 ​​Includes sealed trolling motor with customized retrofitted cassette, remote controller with 5 speeds forward & 2 speeds reverse, customized aluminum propeller, 35ah AGM battery, and all hardware required for installation. 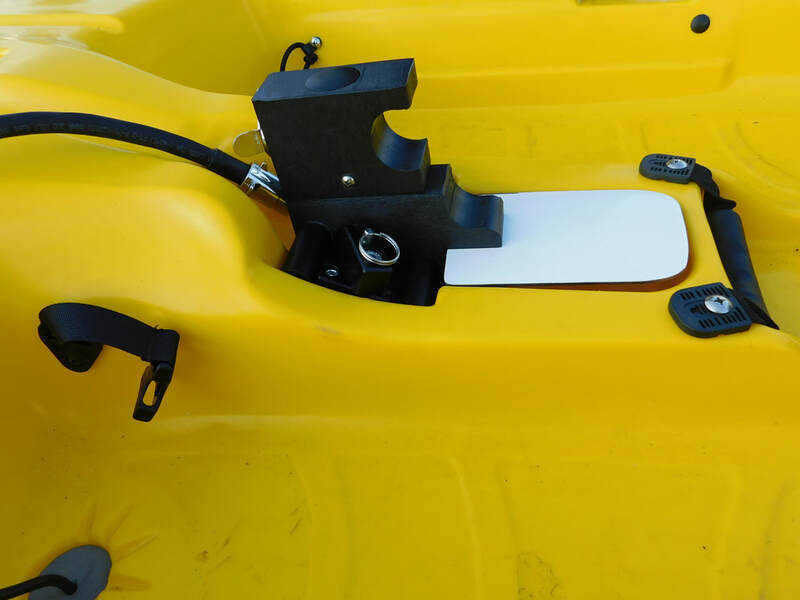 Slips into pedal drive and locks with kayaks latches. ​Approx. size: 9" x 8" x 6"
you may require a back up battery for longer range use. 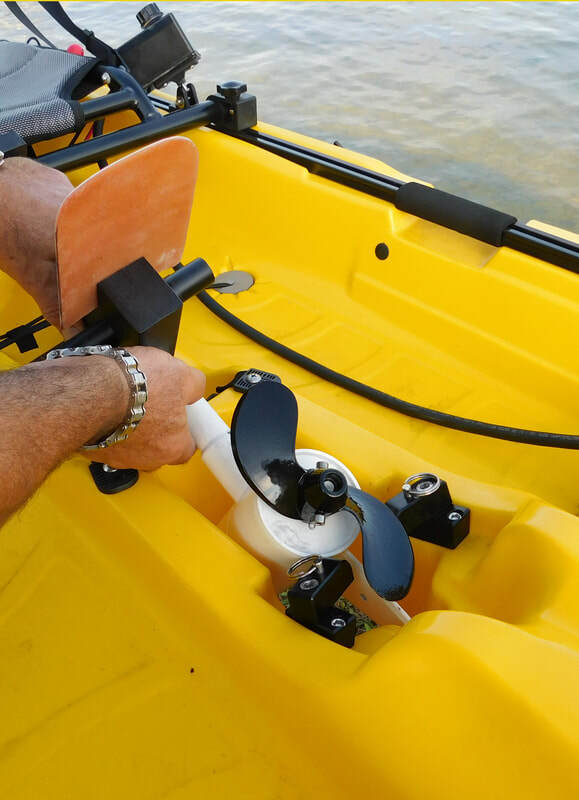 Island Hopper Remote Control Trolling motors are exclusively engineered to fit Riot Mako kayaks. Slips in easily, Snaps in place with kayak locks. Rated for both salt water and fresh water kayak trolling motors, 32lbs. and 46lbs. thrust of power. 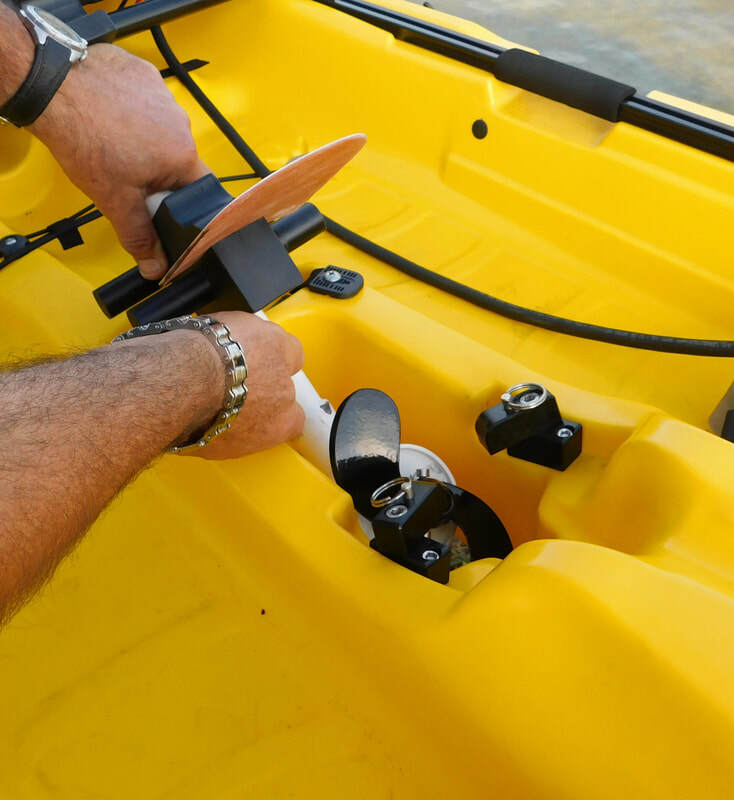 Island Hopper Outboards manufactures accessories to retrofit the numerous kayaks on the market, Island Hopper Outboards accessories are not a Riot branded products. ​We do not sell or make any claim that these accessories are manufactured by Riot.